The use of fingerprints for biometry presents some interesting technological challenges, especially when large populations are involved. 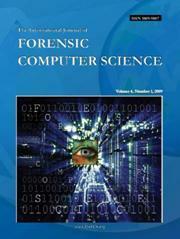 This paper describes how a high-quality database of fingerprint minutiae can be created. First research was carried out to establish which algorithms are state of the art. Certain techniques are then selected, and improvements are proposed for some. The results were analyzed aiming to evaluate the quality of the biometric data base generated. The information in the database so obtained is quite good (approximately 92% of the detected minutiae are real), but further work can doubtless improve the quality of the results.